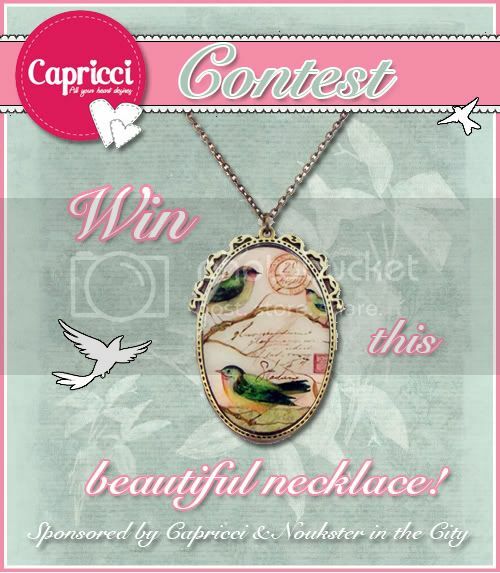 You can win this amazing bird necklace from Capricci. Name 5 different brands that Capricci sells. This contest will end on 23 feb 2011, that means you will have one week! PS : I already follow you since a while via Bloglovin' and GFC, but I tried to follow you on Twitter and it says user does not excist? I do follow "loveyourstylenl" though ?